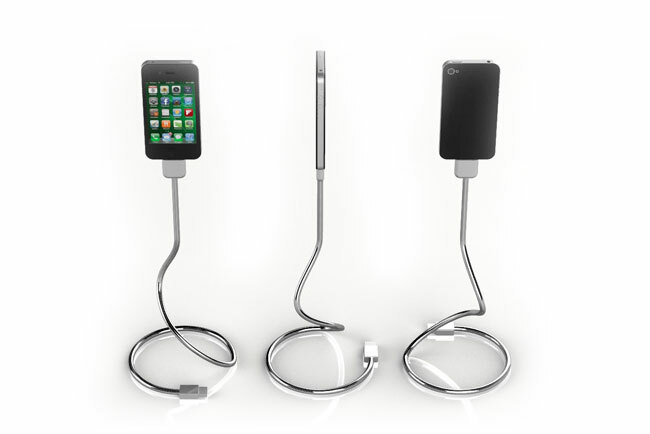 There are plenty of charger and sync cables on the market but a new innovative flexible cable called the Une Bobine, has started its journey on Kickstarter and provides a new unique way to hold and charger/sync your iOS devices. The Une Bobine is constructed using a metal gooseneck material that allows it to be flexible and yet still strong enough to hold the weight of an iPhone. Watch the video after the jump to see it in action. 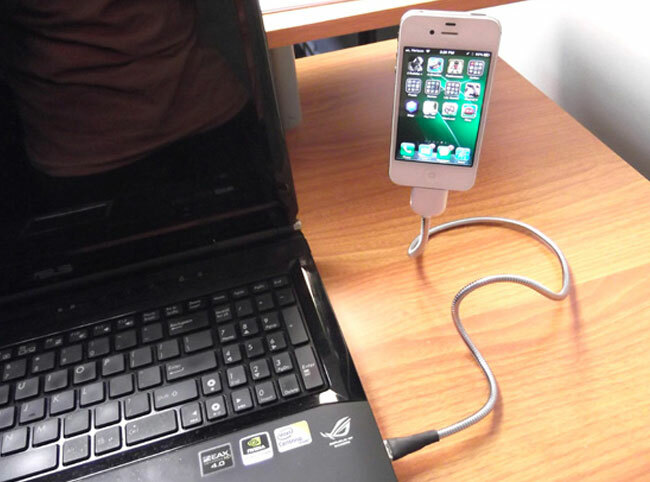 So if you would prefer to keep your iPhone off your desktop and positioned perfectly for a FaceTime chat, the new Une Bobine might be the perfect iPhone stand/cable for you. The Une Bobine is currently over on the Kickstarter website looking to raise $9,800 in pledges to make the jump from concept to production. So if you think it is something you could benefit from, jump over to the Kickstarter website now to make a pledge and help Une Bobine become a reality.